Homeopathic remedies will help a person with metallothionein and other nutritional deficiencies. Contact us to learn more. 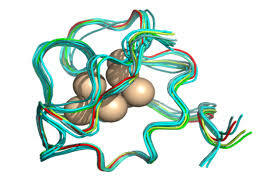 Metallothionein is an essential protein that carries out very vital functions in the body. One of its most important functions is the protection against heavy metals. Metallothionein serves as a binding agent for heavy metals by exchanging zinc for mercury, lead, platinum, aluminum, etc. Metallothionein is found in the liver, pancreas, mouth, stomach and brain. It is made up of 60 to 70 amino acids and 7 atoms of zinc. A deficiency of this essential protein may lead to all kinds of problems in the development of the child. Children with a dormant metallothionein deficiency run the increased risk of developing symptoms caused by all kinds of environmental factors. The symptoms include autism spectrum, ADHD and other behavioral disorders, cancer, chronic fatigue syndrome, fibromyalgia, and others. It is significant to note that those with various cancers show high copper and low zinc levels in lab testing. Cadmium replaces zinc in metallothionein and is so strongly attracted that it is very difficult to remove. Metallothionein function in the bowels and the brain can be restored with the use of zinc. In addition, the use of the homeopathic remedy Saccharum Officinale 6C (potentized sugar) gives good results in restoring intestinal flora and function. "Metallothionein is involved in many functions of the body, including immunity, brain and gastrointestinal tract maturation, and the regulation of metals. Metallothionein is essential for maintenance of the proper ratio of copper to zinc. So much so, that a zinc/copper imbalance is the main indicator for a metallothionein malfunction. The malfunction could be due to a genetic weakness but may also be primarily induced by nutritional deficiencies and imbalances. The primary nutrient needed in the formation of metallothionein is zinc. Therefore, metals that compete with zinc such as mercury and cadmium will eventually disturb metallothionein function. Metallothionein is crucial to the body in regulating and coping with toxic metals. It envelopes metals such as mercury, lead and cadmium, binding with them and carrying them out of the body. Mercury or lead in the gut require metallothionein in order to disable the toxic substance. When mercury is ingested in any form, it produces destructive changes in the mucous membrane linings of the gastro-intestinal tract. It enters the blood circulation, travels to the tissues, and then damages literally every cell with which it comes into contact. Mercury has a long history of use as a disinfectant and antibiotic. It is still used as an antibacterial preservative so it is certain that it would kill at least some of the flora. Ideally, ingested mercury is bound to metallothionein and transported out of the body through the bile and through the kidneys. Without the effect of metallothionein, the toxic metals will interact with chemicals called sulfhydral groups. A combination of sulphur and hydrogen, these groups have tremendous power to bind to mercury, lead, and cadmium but especially mercury. Among the sulfhydral groups in the intestines are the enzymes that break down casein and gluten. Toxic metals and low zinc interfere with the enzyme functions giving rise to gluten intolerance to grains such as wheat, rye, barley and oats and to dairy intolerance." Metallothonein regulates zinc and copper and zinc concentrations in the blood. Essential in the development and functioning of our immune system. Key nutrient in the development of nerve cells in the brain along with the Omega-3 fatty acids. Protects against excessive yeast overgrowth in the intestines. Involved in gastric acid production. Influences taste and texture sensation of food in the mouth. Involved in the emotional development and socialization (amygdala).